Can you believe that "The Nightmare Before Christmas" premiered all the way back in 1993!? That's enough to make most of us feel pretty old. Disney actually had a few qualms about the movie that could have completely changed how we saw it. 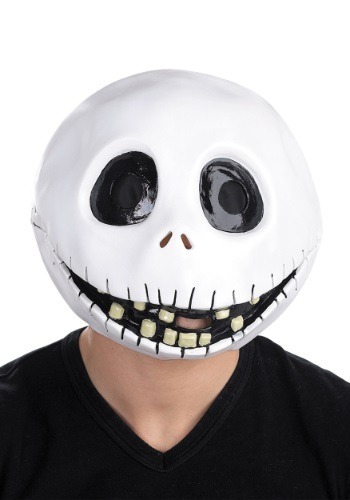 One of the craziest ones is the fact that the studio believed one of the key ways for an audience to identify with a character was through their eyes, so they wanted Jack to have a giant pair of friendly eyeballs instead of his signature sockets. We're not sure we could bear the sight of our beloved Skellington without his lovely, empty eye holes. It may not be the most settling thing to look at, but this isn't Bambi we're talking about, right? Just try getting this Adult mask and putting those giant googly eyes on it. It's just not the same. Take them back off though, and now you've got a fantastic Halloween costume. Just don't forget a nice pin-striped suit to go with it!